I think everyone on the internet has seen the meme-level cover art for this album. But behind that image is a solid album of late-50's gospel country (as evidenced by the above track). Granted, some of the tracks have fairly metal-sounding titles ("Satan's Jeweled Crown," for instance), but the album is front-to-back Jesus-tunes. Now, I was raised in the church. I am no stranger to a song about "the Lord." But, as one might expect, the vast majority of modern Christian music is pretty uniformly terrible. The same way modern "country" music is pretty uniformly terrible. But what "Satan Is Real" has, that neither of those genres has, is a feeling of genuineness. This is a little rough, a little goofy. 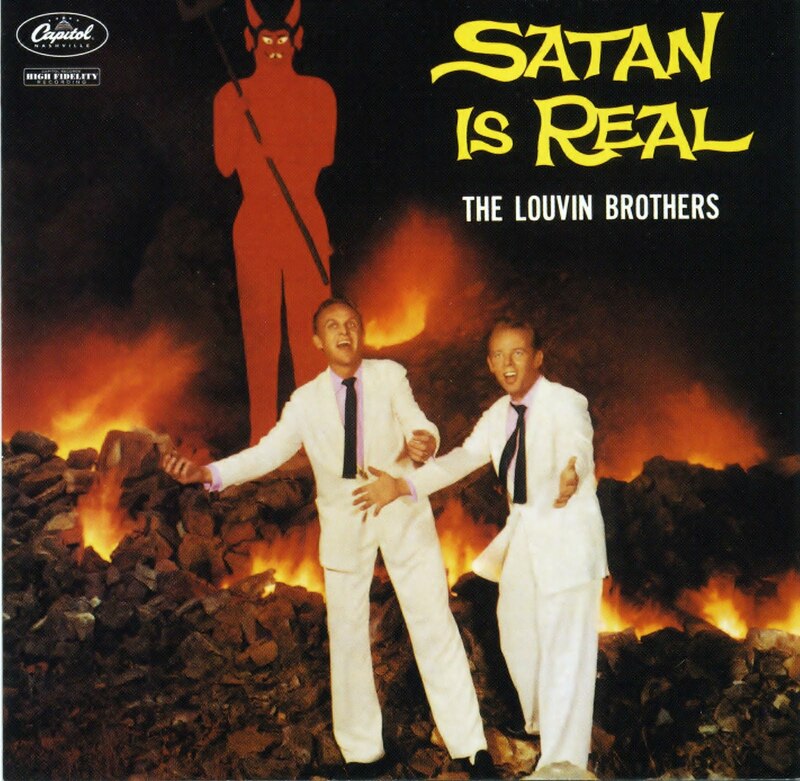 I mean, they put a 12' tall wooden devil on the cover of their album, you know? Imperfect people bringing you an imperfect product in the realest, most artistically true way they can, and that's admirable. I'll support anything honest and from-the-heart in the world of music.